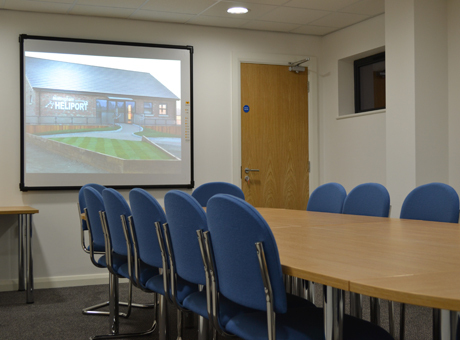 Meeting and training room hire at Nottingham Heliport. Whether you decide to fly or drive to your next meeting, consider our brand new facility. Continuing its reputation for innovation and commitment to customer service, clients of Nottingham Heliport can host meetings, training lessons and events in our exclusive venue located 10 miles south of Nottingham on the A46 at Widmerpool.